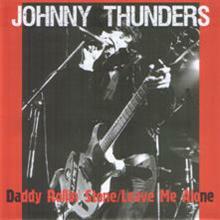 Two Johnny Thunders demos for his "So Alone" album that featured Phil Lynott. Phil appears on the finished product, as well on these demos. On this version of "Daddy Rollin' Stone", Phil's backing vocals are all different from the eventual album version.